Welsh broadcaster S4C will be televising the match on TV and online and it will also be on the internet from www.TheFA.com . The game is on Tuesday January 18th, ko 7:45pm. S4C is available on all platforms in Wales and on Sky 134 and Freesat 120 in England , Scotland and Northern Ireland . S4C's online service is available throughout the UK . The match, to be broadcast from the Cardiff City Stadium at 19:30, will be presented by the Sgorio team as the channel follows Cardiff on the road to Wembley. Caerdydd v Stoke City: Cwpan FA will feature English subtitles and simultaneous streaming of the 2008 finalists' match against Stoke will also be available live on S4C's website: s4c.co.uk. Former Wales internationals Malcolm Allen, John Hartson and Dai Davies join Dylan Ebenezer and Gareth Roberts to host S4C's coverage of the tie. In the original tie at Stoke's Britannia Stadium, Cardiff City held the Premiership team to a 1 - 1 draw. Striker Michael Chopra gave the Welsh team an early lead, but Stoke got their equaliser before half time with a Tuncay strike. 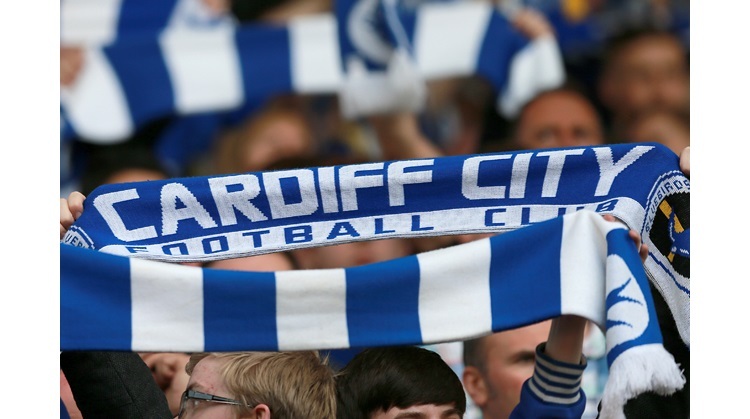 FA Cup fixtures have proven popular on the Welsh language Channel with almost 500,000 football fans across the UK tuning in to S4C's broadcast of last season's match between Bristol City and Cardiff City . Viewers also tuned in to the Bluebirds' fifth round defeat to eventual winners, Chelsea, in large numbers. S4C's Director of Commissioning, Geraint Rowlands says, "Football plays an integral part in our sports coverage. We are delighted to continue our successful relationship with the FA Cup, sponsored by Eon. These matches are full of drama and emotion as there will only be one team that stays in the competition."